The son of the drummer for The Chessmen — the band that opened for Jimi Hendrix at Woodstock — Doyle Bramhall II has spent a career working with the likes of Eric Clapton and Roger Waters. Suffice it to say, he knows a few things about tone. Influenced by acts like Albert King and Otis Rush, Bramhall is one of the rare birds in the blues world who plays left-handed upside-down guitar. The bendy, aggressive style allows plenty of opportunity to dial in snarling overdrive and fuzz, and Bramhall has an armada of pedals to bolster his tone. Built on the foundation of a Shin-Ei Vibe-Bro (“the closest thing I’ve ever come to a Uni-Vibe”), he then feeds his signal through a Vemuram Jan Ray for volume control. 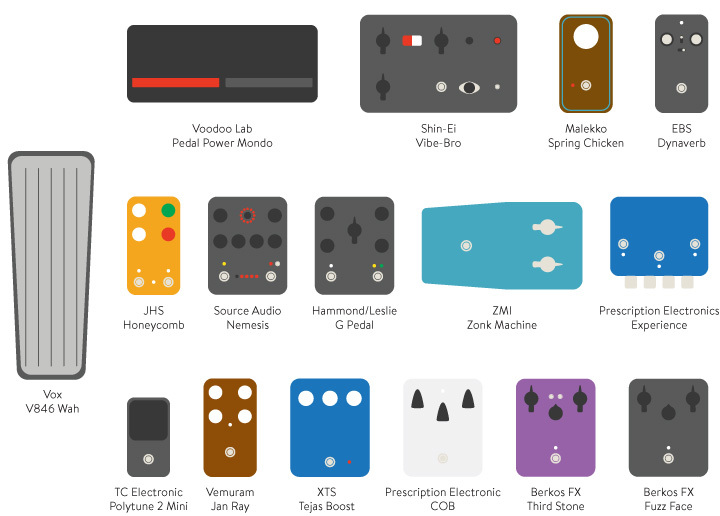 From there, it’s a full complement of Fuzz Face-style germanium attack. Stacking a Berkos Third Stone, a Zonk Machine rebuild made by Acid Fuzz, and Cob Fuzz next to each other, Bramhall can brighten or darken his tone based on which fuzzes are in use. For consistency, he keeps at the same volume as his clean without sacrificing tone through the Jan Ray. All of this he runs into a Blankenship Master Plex amp head. Also making appearances on the board are a JHS Honey Comb Deluxe Tremolo, Source Audio Nemesis Delay, and a Hammond Leslie G Rotary Pedal to round out Bramhall’s sound. Check out the video above to find out how to tame multiple fuzzes without sacrificing that searing tone. Doyle's latest album, Rich Man, is available now. Plenty has been written about Joe as a player. 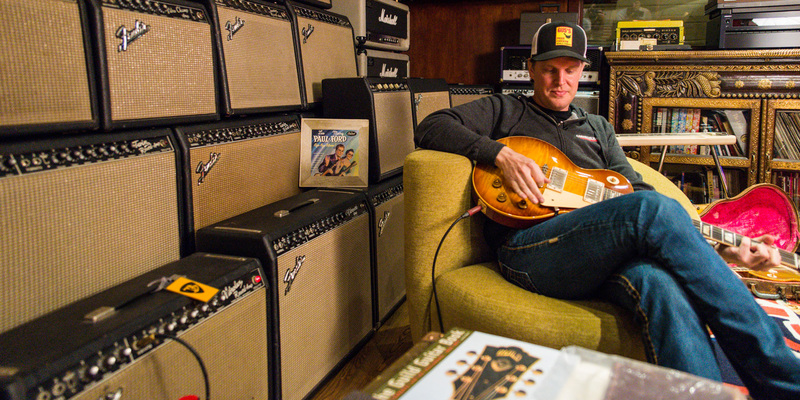 Here's an inside look at his life as a collector and guitar philosopher.